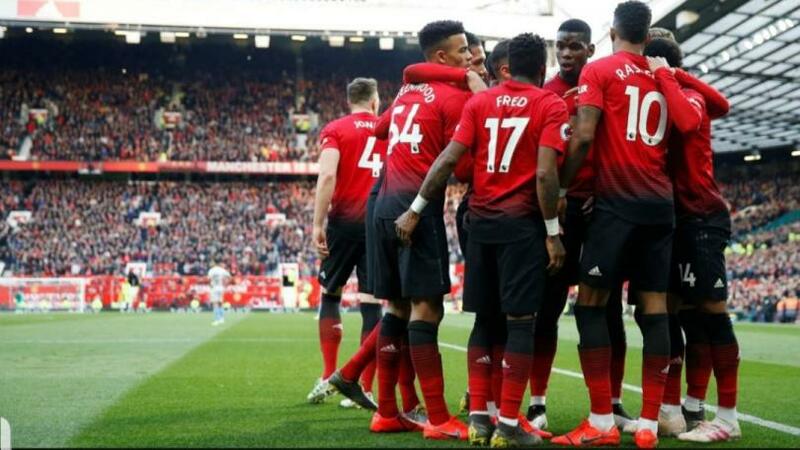 Paul Pogba bagged a brace to help Manchester United beat West Ham 2-1 in a Premier League encounter at Old Trafford on Saturday. The Frenchman converted two penalties in both halves to seal victory as United climb to fifth in the League table. Felipe Anderson had levelled both sides up early in the second half after a converted penalty had put the Red Devils in front. The penalty was awarded on 19 minutes after Robert Snodgrass was deemed to have fouled Juan Mata. The Hammers continued to fight hoping to go home without at least a point, before substitute Anthony Martial was brought down in the box and another penalty was given. Pogba then stepped up and placed it well for the 80th-minute winner. But West Ham were the better side for large parts of the contest, the hosts laboured. The win sees United, who had lost their last two games, go one point above Arsenal, who play at Watford on Monday. United are however two points behind fourth-placed Chelsea, who play Liverpool in the tie of the round on Sunday. The Ole Gunnar Solskjaer team will travel to Barcelona for the reverse fixture of their Champions League quarterfinal tie billed for Tuesday.